Fannie “Clyde” Fletcher was born, December 10, 1932, in Musella, Georgia to Calzoria Grant and Thomas Worsham. Clyde, as she was affectionately known, had one brother, Cleve Furlow and one sister, Willie Pearl Willis. At the age of eleven, Clyde moved from Georgia to Columbus, Ohio to live with her grandparents, Dubert and Bertha Davis. She was educated in the Columbus City School system. Once she completed high school, she was employed at Grant Hospital where she worked as an aide. Clyde married Douglas Kelley and to that union was born one son, Douglas Kelley Jr. She later married the love of her life, Leon Fletcher. He was a wonderful, caring and supportive husband and provider. She loved him so much. After his passing, Clyde had to begin a new chapter in her life without her beloved Leon and it was a very difficult time for her. Clyde’s uncle, Fred Davis, began attending a tent effort under the direction of Pastor C.D. Brooks. Fred encouraged Clyde and other family members to attend the tent effort and she became a Sabbath keeping Seventh-day Adventist. She joined the Ephesus Seventh-day Adventist Church, which at the time, was located at Spring St. and Cleveland Avenue. Clyde loved her church. 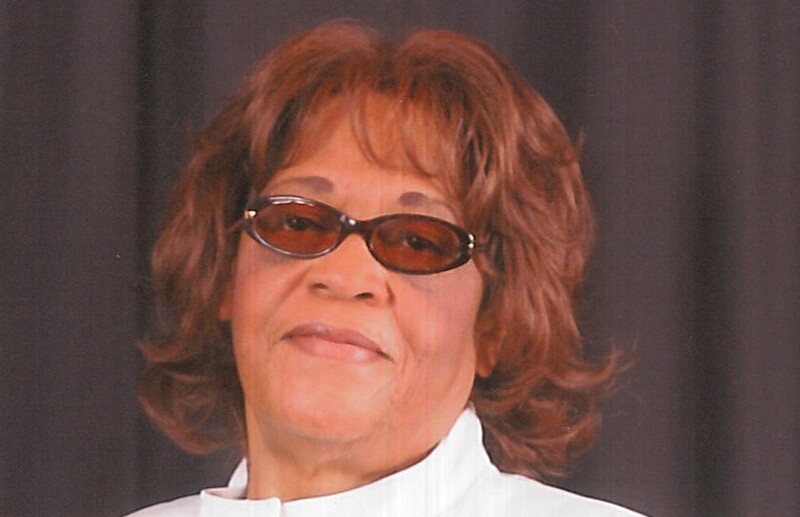 For many years, she served as an usher and a member of the Hospitality Department. Her passion for cooking led her to serve for many years with Hospitality, cooking for various affairs that were held at the church. She really enjoyed working alongside the men and women at the church. Fellowshipping and working together to create delicious meals. Often after church, Clyde could be found in the parking lot where she sat in her car with many friends and family members eating peanuts, candy and chewing gum. She loved her gum. Along with being a great cook, Clyde also loved to clean, laugh and to drive. She would make those long trips home to Georgia to check on her mother and other family members. She also loved to talk. She could talk your head off. One of her greatest joys was entertaining people in her home. Food, fun and fellowship were a huge part of Clyde’s life, as was great music. Her favorite song was “On time God” by Dottie Peoples. Once she suffered a stroke, Clyde no longer had the ability to do all the things she loved. No cleaning, no driving and no cooking. Although she was unable to do those things, she could however still chew her gum. Blessed with 86 years of life, Clyde quietly slipped away in death on April 10, 2019, at the Select Specialty Hospital in Columbus, Ohio at 6:51 pm. Clyde was predeceased by her parents, Calzoria Grant and Thomas Worsham; husband, Leon Fletcher; son, Douglas Kelley Jr. and her brother, Cleve Furlow. She leaves to remember her, Sister, Willie Pearl Willis; daughter in-law, Bernie Kelley; grandsons, Douglas Clyde Kelley, Rahmon (Rachel); granddaughters, Princess Watters, Natira Lartey; great grandchildren, Daijah Kelley, Johannes Christian, Shemar Kelley, Sadaria Wills, Davonte Bradford, Daylon Bradford, Tyus Sherman, Jonesia Evans, John Evans, Johnavin Evans, Jehlani Bradford, Jamiya Bradford, Nelliyah Christian; many nieces, nephews, cousins, friends and devoted caretaker, Loretta Brown. Family will received friends Thursday, April 18, 2019 at 12pm until time of service 1pm at Ephesus Seventh Day Adventist, 3650 Sunbury Rd., Cols, OH 43209. Interment Green Lawn Cemetery. Arrangements by WHITE’S FUNERAL AND CREMATION SERVICES, 867 S. JAMES ROAD, COLS, OH 43227, BENJAMIN F. “BENNY” WHITE, JR, FUNERAL DIRECTOR, (614)947-1123, whitesfh867.com.